Creation, economy and society will have a meeting point in an urban area covering twenty-five hectares at the heart of L’Hospitalet, in a central, well-connected area with an open perimeter, surrounded by important cultural facilities, such as the Centre Cultural Tecla Sala, the Sala Salamandra, the Edifici Freixas or the Music School. Intermediation so that cultural projects of quality are set up in the district. Organisation of activities for the cultural revitalisation of the area. The Cultural District project emerged from the initiative of philosopher Josep Ramoneda and within the context of the debates on the city’s strategic project: L’H with the future ahead of it, the “local Council” municipal participation body and its sectorial committee for culture. The idea is that it will continue to be a space for reference within the metropolitan area of Barcelona to host companies and initiatives of creation and dissemination within the culture sector. The Cultural District is a commitment by the municipality of L’Hospitalet to culture being a central element in its municipal action and its future growth. Culture is a necessary stimulus to agitate participation, coexistence and the expression of identity. And it is also economy, a driving force that will influence the regeneration of industrial sectors in decline. 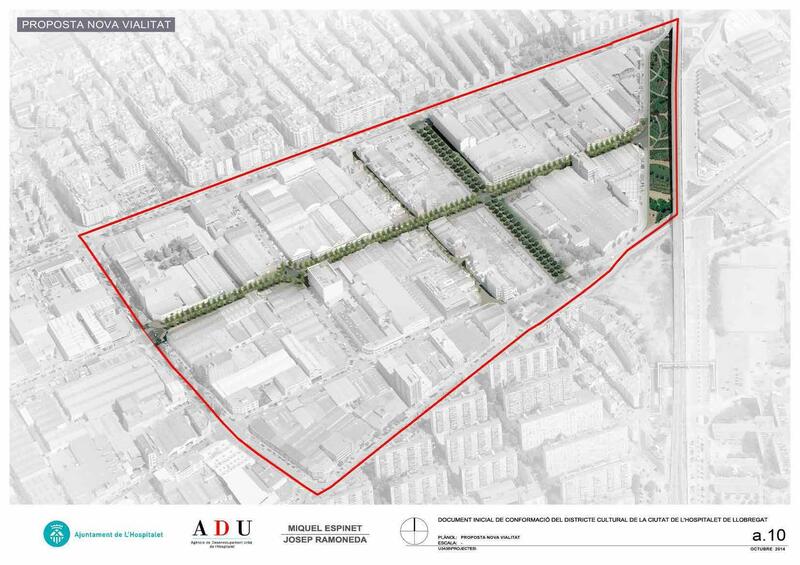 The Cultural District of L'Hospitalet is backed by the complicity of the cultural world in the city: it will be a basis for recognition of schools, cultural agents, research institutions, industry, the associations sector, etc. A city space for living, creating, working, having fun and learning. A cohesion-building cultural and social model, an alternative to the predominant economic model based on the reduction of labour costs and speculation. A project with a metropolitan vocation that has emerged with the desire to establish synergies with Barcelona and other municipalities in our surrounding area that make possible unity of action necessary for the Catalan cultural industries to develop and achieve projection in the international sphere. 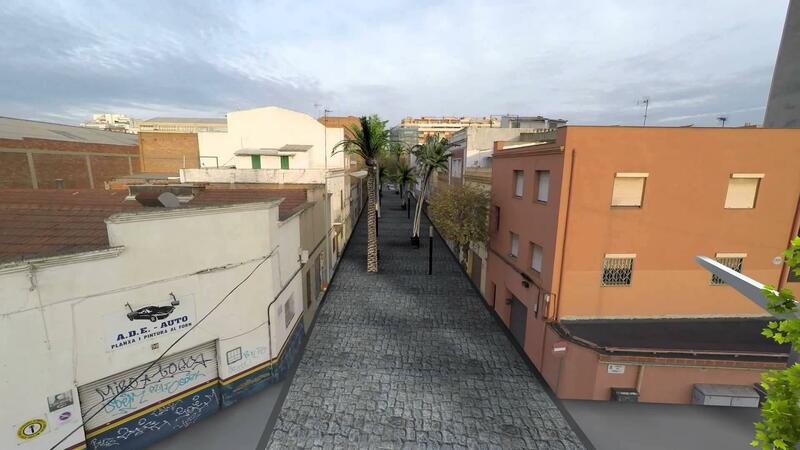 In relation to the installation and housing of quality cultural projects, from January 2015 , the time that the project begins, two galleries of prestige in contemporary art have been installed: The Galeria Nogueras Blanchard and the Galeria + R (on Carrer Isaac Peral), thus a group of some 14 top-level artists has settled in on Carrer Salamina. Moreover, the district is in advanced negotiations to locate at least two private, high-level initiatives, linked to the world of music and design, for their installation in two heritage factories in the town. In relation to the revitalisation activities, the Cultural District has carried out the so-called Actions in the Cultural District. These actions consist of cultural activities of an ephemeral and cross-cutting nature that are carried out in abandoned commercial premises in the area. The first action was carried out by painter Pere Llobera, who recently moved into the collective studio of Carrer Salamina in the area, and produced the action Palacio ¿Real? in abandoned commercial premises at Carrer Salvadors number 24. At the same premises, during the month of June 2015, the second of the actions in the District took place, this time an experimental music performance in the context of the week before the Sónar Festival of Barcelona, and led by musicians of international prestige Yolanda Uriz and Lars Akerlund, coordinated by L’Ull Crític. 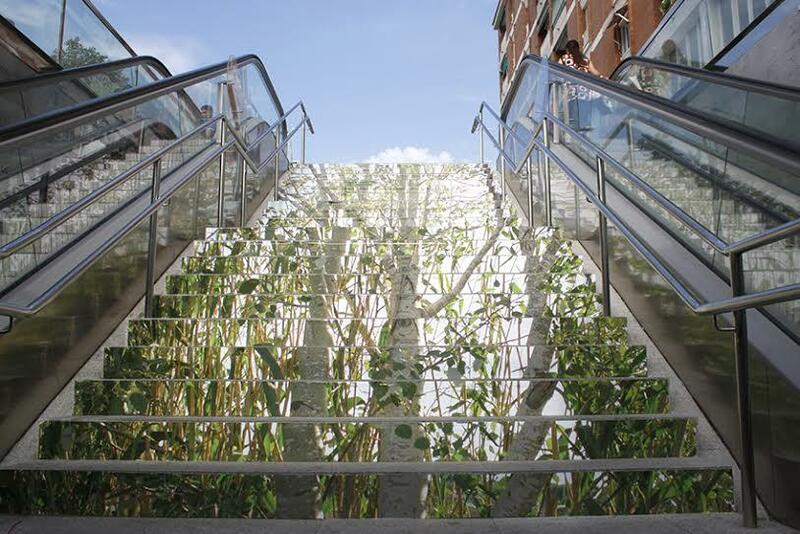 Moreover, the District now has its three next actions planned: the third will be carried out by the Serra i Abella design school of L’Hospitalet on the steps of the Torrassa Metro station; the fourth, will feature an artistic intervention by artist David Bestué at the Cosme Toda factory, in the framework of the Barcelona Gallery Weekend, on the first weekend in October; and the fifth will feature an intervention by artist Patrícia Dauder at the Trias i Godó factory in L’Hospitalet. L’Hospitalet has over 200 companies in the cultural industry sphere, which generate over 1,500 jobs and have a turnover approaching 300 million euros. 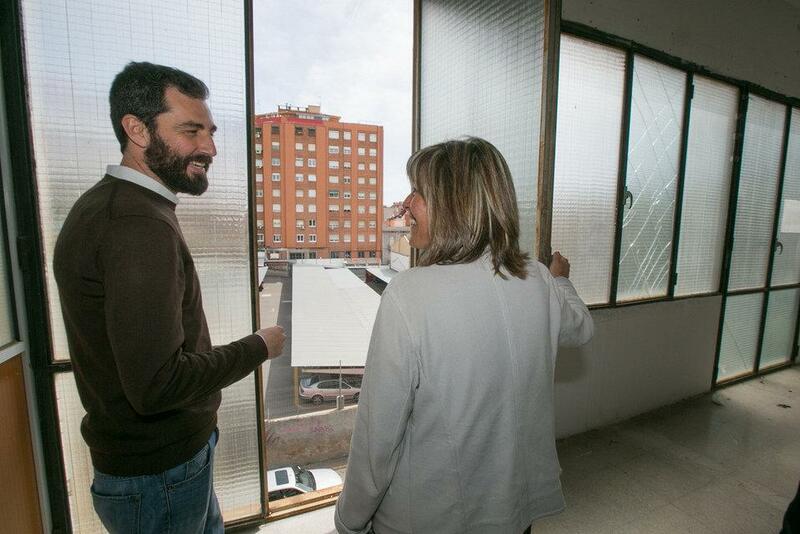 The Cultural District of L’Hospitalet is a public initiative project that aims to rely on the economic complicity of private cultural agents. For the moment, it does not have a fixed budget, but the local council allocates resources to it according to the interest and needs of the projects that are proposed. Thus, the investment may be of a public nature (basically, financing of cultural events in the district) or a private nature (investment by companies for repairing and consolidating industrial buildings in order to set up business there). 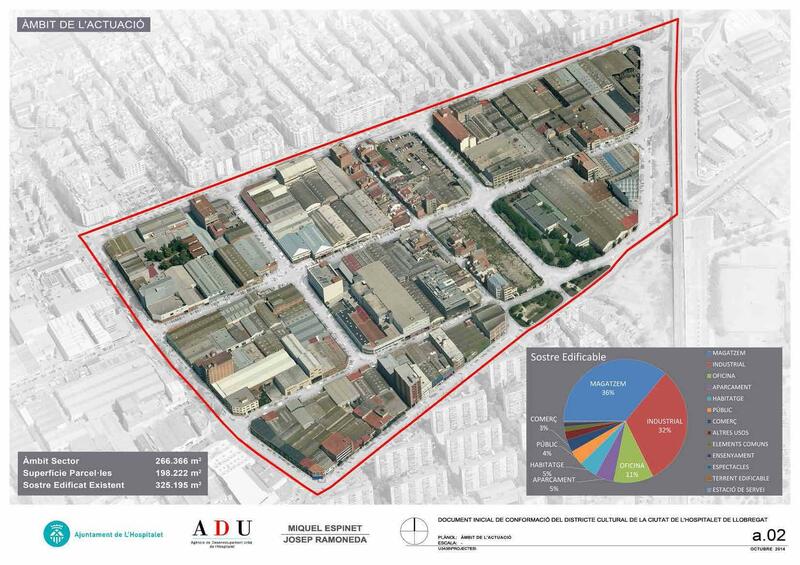 The surface area for action of the Cultural District is 25 hectares, sited in the old industrial area of L’Hospitalet, in the Sant Josep neighbourhood.